Here's a belated bit of news which I'm surprised I missed. According to The Korena Herald, Google launched a local ebookstore in South Korea 2 weeks ago, making it the first country in the region for this venture. The launch happened on 5 September (around the time of Amazon's Kindle Fire press event in Santa Monica), and it doesn't seem to have gotten much attention in the press. I cannot find any details on the number of titles stocked, but Google reps do say that they have signed deals with local publishers like Woongjin, Ridibooks, and Munhakdongne Publishing. 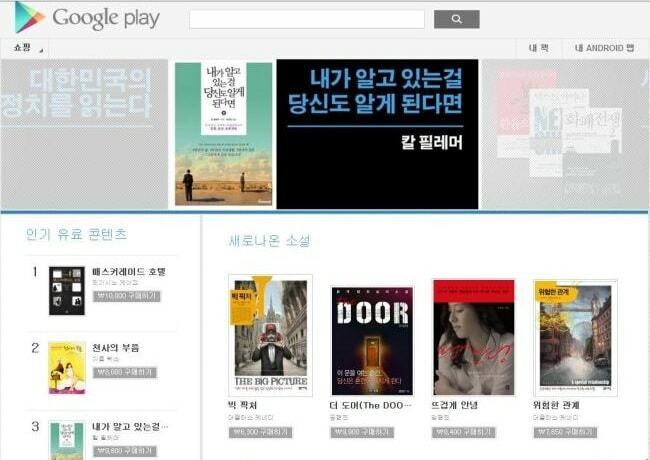 The South Korean Google eBookstore is also stocking ebooks from international publishers, including the usual suspects. The ebooks are of course accessible from Google Books apps on Android and iOS, just like the ebooks sold via Google's other local ebookstores, including ones in Australia, Canada, France, and more. It's a little surprising to see Google as the first mover into an ebook market. Given the many smartphones in use there there's hope it could become quite the lucrative market, though it is still rather small. Last year that ebook market was worth around 289 billion won (~ $ 258 million USD) according to the Korea Electronic Publishing Association. They also expect the ebook market to double in size by 2013, when it should account for 20% of the Korean book market. 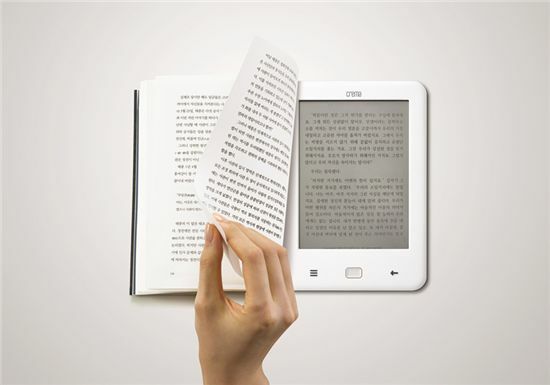 On a related note, a new ereader launched in South Korea earlier this month The Crema Touch, which was launched by a coalition of 5 Korean publishers and the ebook service firm Korea Epub, is based around a 6" Pearl E-ink screen. It has Wifi, a touchscreen, and was priced at 129 thousand won (~ $115 USD). Several thousand units were sold in the first three days of pre-orders, which began on Aug. 29. Unfortunately, if early reviews are to be believed then many of those pre-sold devices are going to be returned. There have been a number of complaints about Wifi connectivity, including some buyers who could not download ebooks purchased from participating ebookstores. PSA: I’m Selling My eBook At Site A, So How Did It End Up At Site B?